Published on October 15, 2015 in Uncategorized. 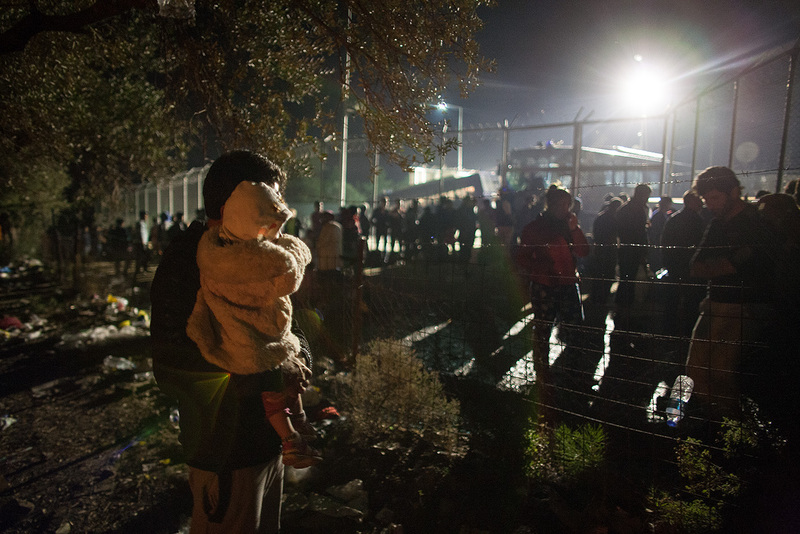 Closed Tags: 2015, greece, Hot Spot, Lebos, lesvos, Moria, registration, vulnerable groups. Hot Spot to be inaugurated on Friday, October 15, 2015 in Moria camp while registration procedures are malfunctioning, there is no identification system for vulnerable groups in place and living conditions are inhumane and degrading. The lack of basic needs provision leaves refugees unprotected waiting in the registration queues for hours and days. 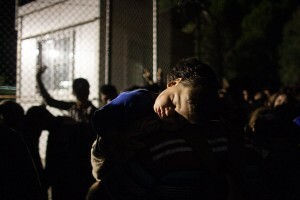 Meanwhile within the last days Lesbos welcomed many high ranking officials including Greek Prime Minister Alexis Tsipras, Austrian Chancellor Faymann, UN High Commissioner Guterrez and a US delegation of senators accompanied by the US ambassador in Athens David Pierce. On Friday Martin Schultz, President of the European Parliament is expected to visit the island with Dimitris Avramopoulos the EU Commissioner for Migration, Home Affairs and Citizenship and Luxemburgs Minister of Foreign affairs Asselborn. The island currently attracts once again the worlds attention as the first “Hot Spot” in Greece is planned to open in presence of the official visitors and Greek Migration Minister Mouzalas in Moria on Friday, October 15, only shortly after the first days of functioning of the Hot Spot in Lampedusa, Italy. Within the next week a first small group of Syrian refugees are already planned to be relocated to Luxemburg. 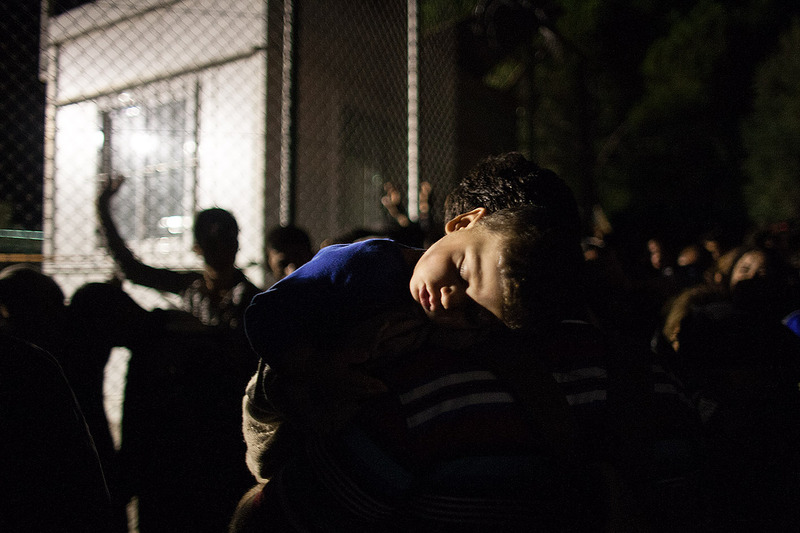 The identification detention centre Moria will be turned to the Hot Spot on Lesbos island after concluding a pilot phase which lasted for the last days supported by 53 specialists from Frontex. Tomorrow another 600 Frontex officers will arrive to start working in the Hot Spot. Already today 12 registration machines donated by Germany have been brought to the island to be used in Moria. It is highly critical that until today it is unclear, how the Hot Spots will function in detail and that it is unknown what will happen after registration and screening to both population groups: The once assessed eligible as protection seekers and the rest whose deportation will be in plan. The only thing clear is that a few protection seekers will be send to Europe for asylum while many others will be deported to their home countries. Daily registration numbers (careful: not numbers of arrivals!) have risen to 3,500, while neither the problem of food provision for the camps of Moria and Kara Tepe has been solved yet, nor are there sufficient tents, blankets or dry clothes for the wet newcomers. At the same time the limited support structures inside Moria are available only to a part of the refugee population (the Syrians and some Non-Syrians who have been already registered) and only at specific working hours while the refugee boats arrive at the shores of the island at any point of time during day and night.